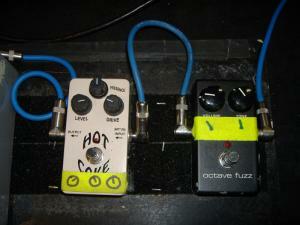 Last week I posted Lee Ranaldo’s board, so it’s only fitting to post Thurston’s. 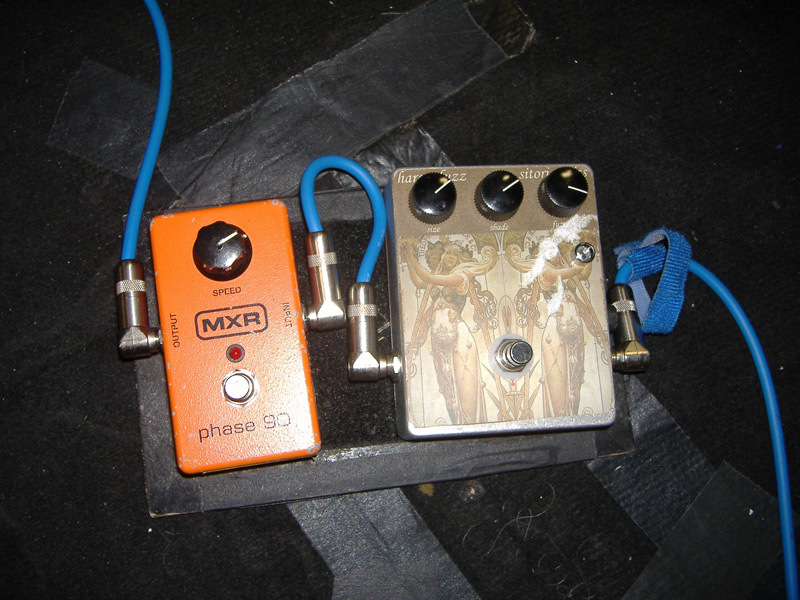 Interesting item to note, Thurston played a MXR Blue Box for years, but the latest gear shots don’t show it in the line up (most likely replaced by the MXR JH-3S Octave Fuzz). Years ago, I heard he (and Lee at the time) were both using the Audio Crowther Hotcake, and that was one of my driving forces to pick up my copy of the Hotcake. 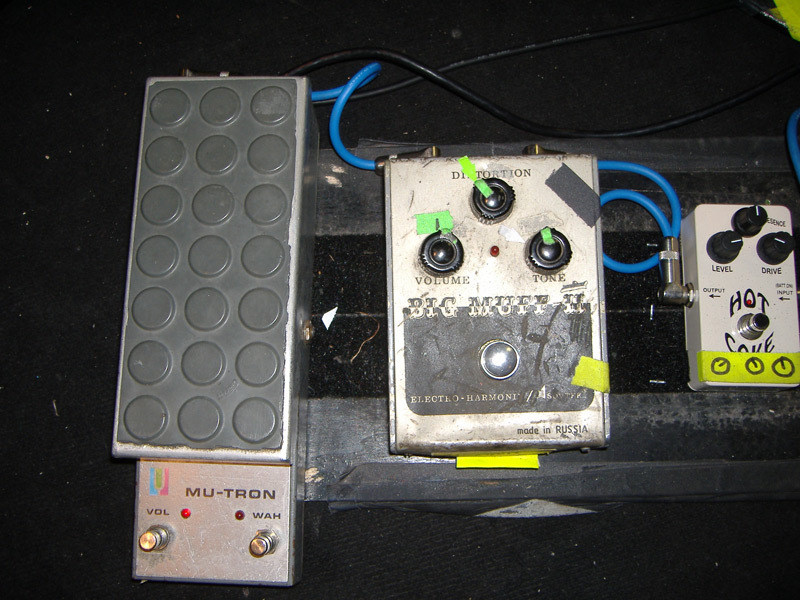 Also, on his board is a Sitori Sonic’s pedal.. which I’ve been hearing interesting things about (recently that Man or Astroman have been sporting them). 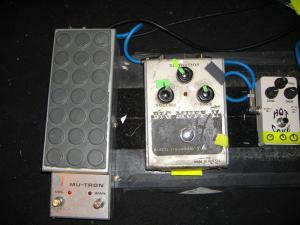 Thurston has two small pedalboards. 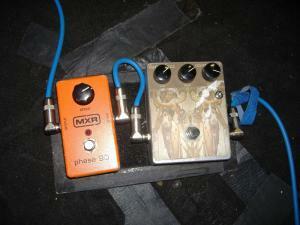 Again, the Sonic Youth website, is the best source of information regarding their gear. Kudos for them to keep the gearology up.